found yesterday by Baczó Zoltán. 1 Marjal del Moro, Valencia, Spanien. 1 Ebro´s Delta, Catalonia, Spanien. 1 ad. summ. plum., Faluddens fyr, Faludden, Gtl, Sverige. 1 Vistula mouth, Gdansk Bay, Polen. 1 domaine de la Palissade - Camargue (13), Frankrig. 1 domaine de la Palissade - Camargue (13), , Frankrig. 1 Cabo da Praia, Terceira, Acorerne. first record for the Azores. 1 Camargue - baisse des 500F, Frankrig. 1 ad. summ. plum., Margrethe Kog, Tønder, Danmark. 1 Le Teich (33), Frankrig. 1 Teich (Le) (33), Frankrig. 2 (1cy), Ebro Delta, Tarragona, Spanien. 48th danish record and 4th this year if accepted. Returning individual seen for the 4th consecutive year at Margrethe Kog/Saltvandssøen. 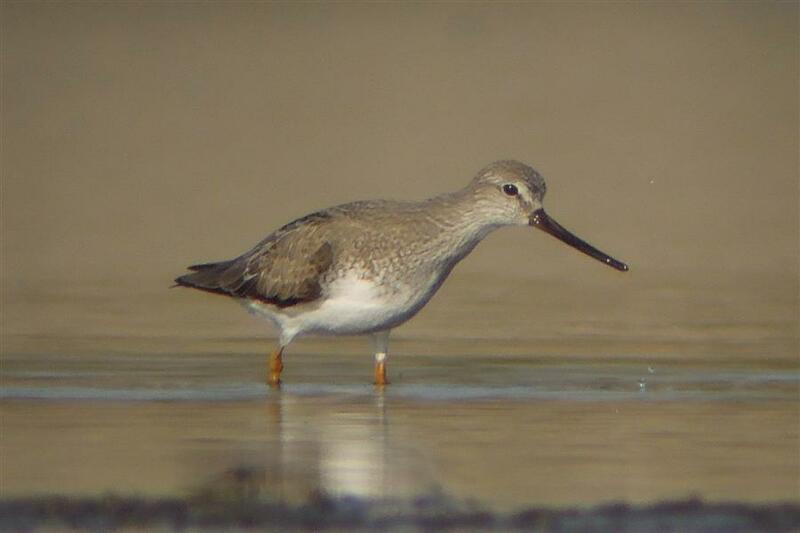 3rd danish Terek Sandpiper in 2011.